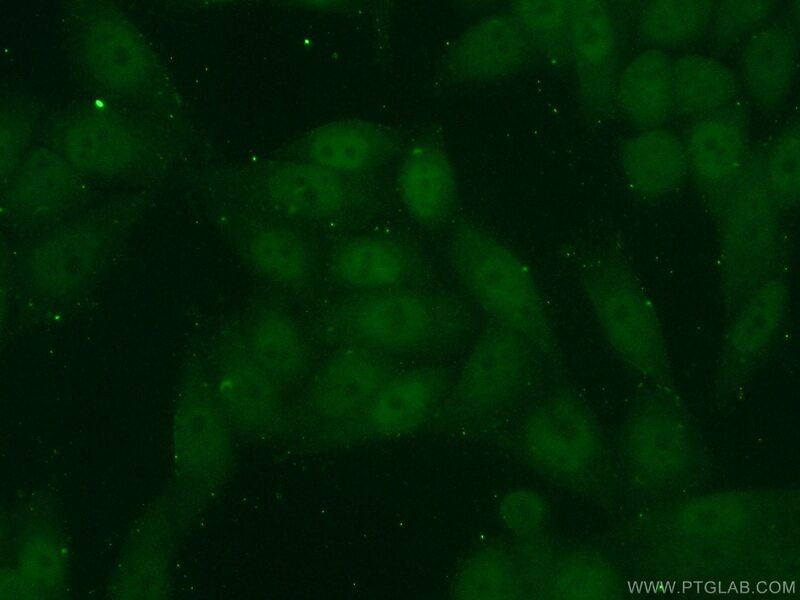 IP Result of anti-KLF5 (IP:21017-1-AP, 4ug; Detection:21017-1-AP 1:500) with HeLa cells lysate 2800ug. 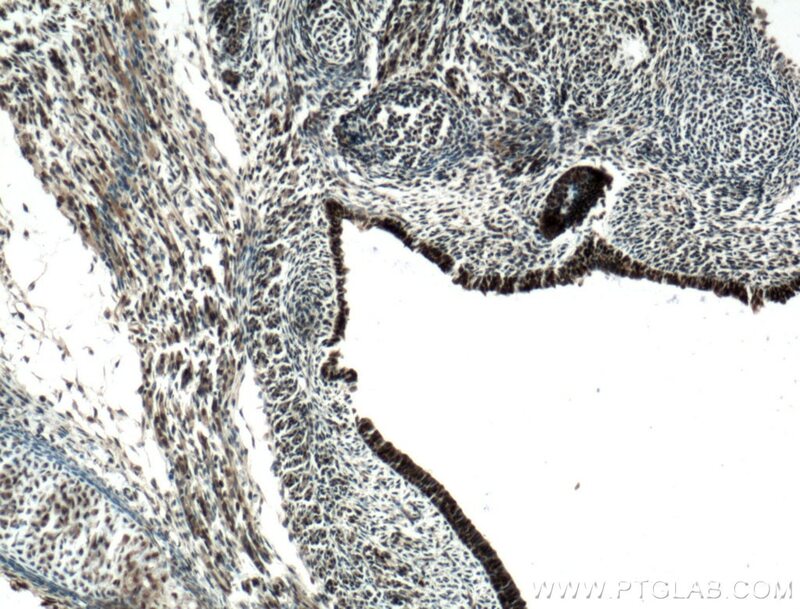 Immunohistochemical analysis of paraffin-embedded mouse embryo tissue slide using 21017-1-AP( KLF5 Antibody) at dilution of 1:200 (under 40x lens). heat mediated antigen retrieved with Tris-EDTA buffer(pH9). KLF5, also known as BTEB2 and IKLF, is a member of the Krueppel-like transcription factor family. It is a transcription factor for SMemb/non-muscle myosin heavy chain-B (NMHC-B). It is a molecular marker of phenotypically modulated smooth-muscle cells. KLF5 seems to be a key element linking external stress and cardiovascular remodeling. 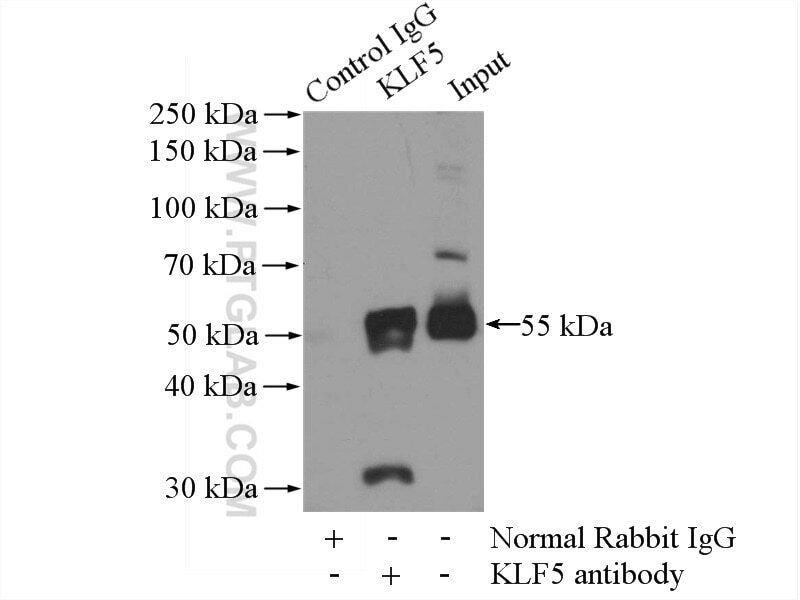 This antibody detects the 50-60 kDa isoform 1 of KLF5. The antibody can recognize isoform 2 (33 kDa) and isoform 3 (18 kDa) too. DNMT1-maintained hypermethylation of Krüppel-like factor 5 involves in the progression of clear cell renal cell carcinoma. Ascl2 activation by YAP1/KLF5 ensures the self-renewability of colon cancer progenitor cells. KLF5 promotes the tumorigenesis and metastatic potential of thyroid cancer cells through the NF-κB signaling pathway. miR-448-3p controls intracranial aneurysm by regulating KLF5 expression. mircroRNA-152 prevents the malignant progression of atherosclerosis via down-regulation of KLF5. ERK kinase phosphorylates and destabilizes the tumor suppressor FBW7 in pancreatic cancer. 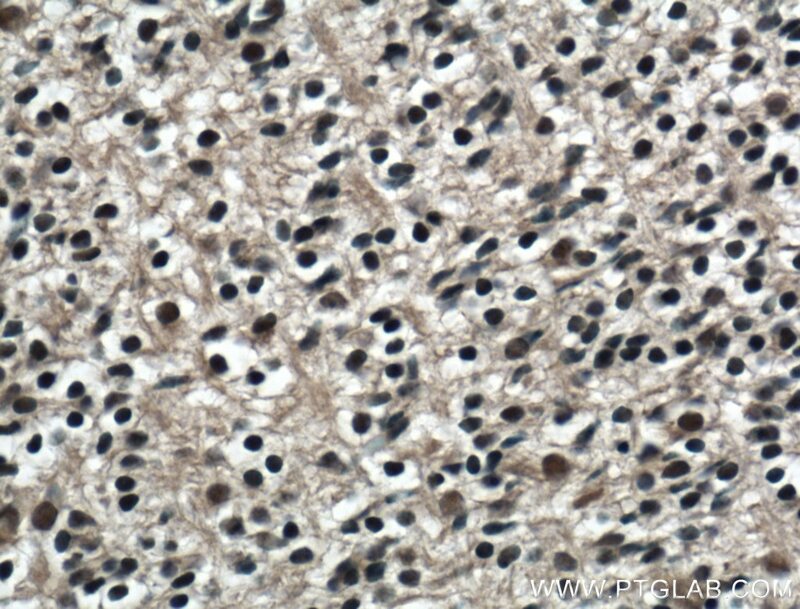 Immunohistochemical analysis of paraffin-embedded mouse embryo tissue slide using 21017-1-AP( KLF5 Antibody) at dilution of 1:200 (under 10x lens). heat mediated antigen retrieved with Tris-EDTA buffer(pH9).